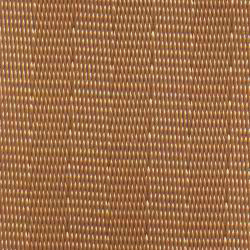 Has anyone found a shop that sells webbing only, that matches the 70's Camel tan/gold belts? Not the cheap ebay Taiwanese rolls but something that actually has current Standards applied to it? I found this one, not often do the shops sell both the webbing and the belts, but am waiting on a response from them. I'm guessing the the Tan 3000 may be close to the camel tan belts, has anyone used their belts to confirm? NOS webbing is out there if you can find it. I have enough NOS Camel Tan to do my Y88. I think Roger over at unitedf-body may have some....that's who I got mine from. He found a few colors at a swap meet. Old post and no longer matters since shops won't touch it. The original webbing or even NOS would not pass here since the whole point was to acquire updated compliance tags for the belts. Someone must get paid everytime they say no to things. I just started to type up this post from new, forgot it already existed, so this is a bump. Apart from just buy items off the shelf, has anyone here ever had to reweb their belts? I need to redo my restored belts just so I can get certification for them, and no the reproduction complete belts won't pass and they won't sell just the webbing although their websites appear to say they will. It's also for US only. Out of about 4 US shops that appeared to offer a replacement new seatbelt webbing to suit camel tan, and advertise that they sell it separately, you already know how many replies i received. Great customer service when it's clear I was prepared to pay several times what it would cost a local customer. Getting treated like doo doo^ comes standard. Typical topic where I actually seek something. Goes nowhere.